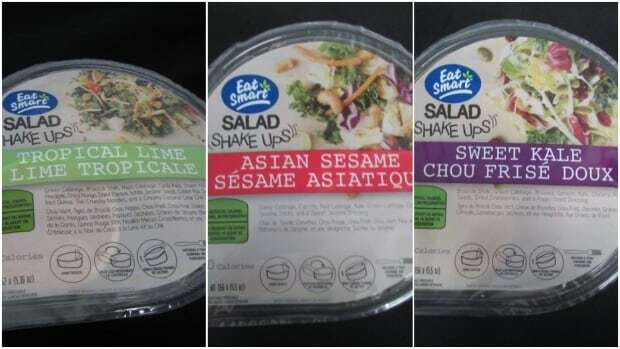 The Canadian Food Inspection Agency says three types of Eat Smart Salad Shake Ups that were distributed nationally have been recalled due to possible Listeria contamination. The recall applies to the Tropical Lime, Asian Sesame and Sweet Kale varieties with a best before date of Dec. 29. The package size is 152 grams for Tropical Lime, and 156 grams for the others. This recall adds to one issued for the Sweet Kale variety earlier this month. The agency widened the recall after an investigation. People with the recalled products should throw them out or return them to the store from where they were purchased. The agency said food contaminated with Listeria may not look or smell spoiled, but can still make people ill and may cause death in serious cases. If consumers suspect they are sick because of consuming the product, they should consult a doctor, the release said. Listeria symptoms can include vomiting, nausea, persistent fever, muscle aches, severe headache and neck stiffness. The agency said infected pregnant women may experience only mild, flu-like symptoms, but the infection can lead to premature delivery, infection of the newborn or stillbirth.